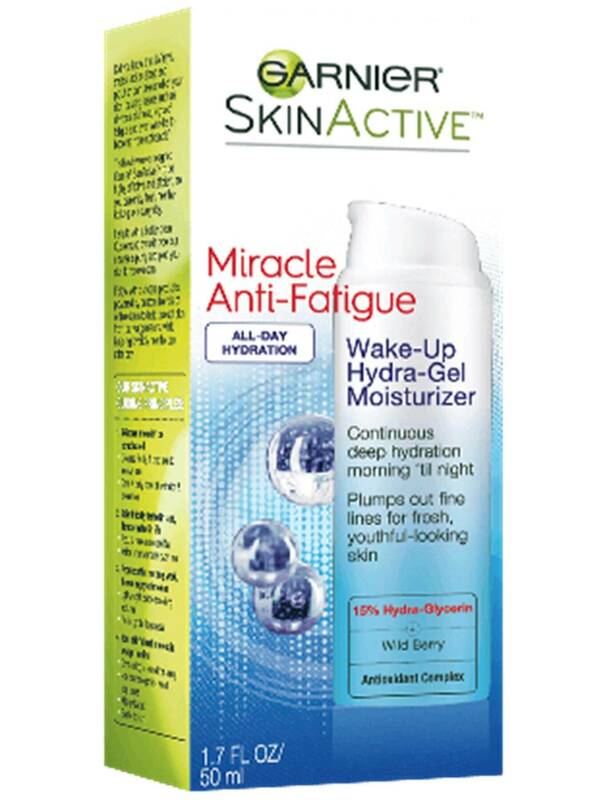 Continuous deep hydration for refreshed, rested-looking skin. Smoothes out even fine lines. Ideal for dry skin. Re-charge skin with a continuous boost of hydration for an energized, radiant look every day. This unique fresh moisturizer transforms on contact into a fast-absorbing liquid-gel. Infused with 15% Hydra-Glycerin (a known humectant) and our Antioxidant Complex of Wild Berry, Vitamins C & E, it plumps skin reducing the signs of fatigue for fresh, youthful-looking skin. TIP: A little goes a long way with this hydration packed formula. It works especially well on drier skin. Apply to face and neck after cleansing. Gently pump a pea size amount onto fingers and smooth on face and neck until fully absorbed. For best results, use twice daily. A powerful antioxidant, Vitamin C is used to fight signs of aging, brighten skin tone, and help reduce the appearance of dark spots. Rated 5 out of 5 by Truiestory from I'm in love! I have failed multiple attempts at using Retin-A because of how badly my skin looks during. You can see my skin peeling right off my face in some places. I have used many different face creams to aid in this process but the best option has always been sleeping on my back and applying ointment to my skin. Not anymore... I use this baby twice a day sometimes 3 times. Heaven sent. I can't not say enough good things. Oh! & I have acne prone skin... terribly. This has not caused breakout for me. In fact, I feel it is helping tremendously. Game changer. I am bummed that I barely found it.. at my local 99... and it is already discontinued. Rated 5 out of 5 by gina62 from Please bring back my favorite product. I've been buying this product now I can't find it anywhere. Please bring it back. It keeps my skin moisturized all day. Love it. Rated 5 out of 5 by Acekitty from Love this -- and being discontinued??! Once again, a product I am devoted to is being discontinued. It has disappeared from ALL stores around me. Rated 5 out of 5 by Littlerunner from Perfect for my dry skin! I have been using this for almost two years now. Finally I found a lotion that doesn’t make me drier. It is refreshing and lightweight. I don’t know why my local stores quit carrying it - I guess there is always something newer out there. I will forever buy this lotion! Rated 5 out of 5 by jcpshopper94 from Hard to Find :( I bought this product several times and really like it. My skin feels moisturized all day. However, I can no longer find it. Now that winter is coming, I really need it! I used the website and see only one store that carries it, but not near me. Is the product being discontinued? 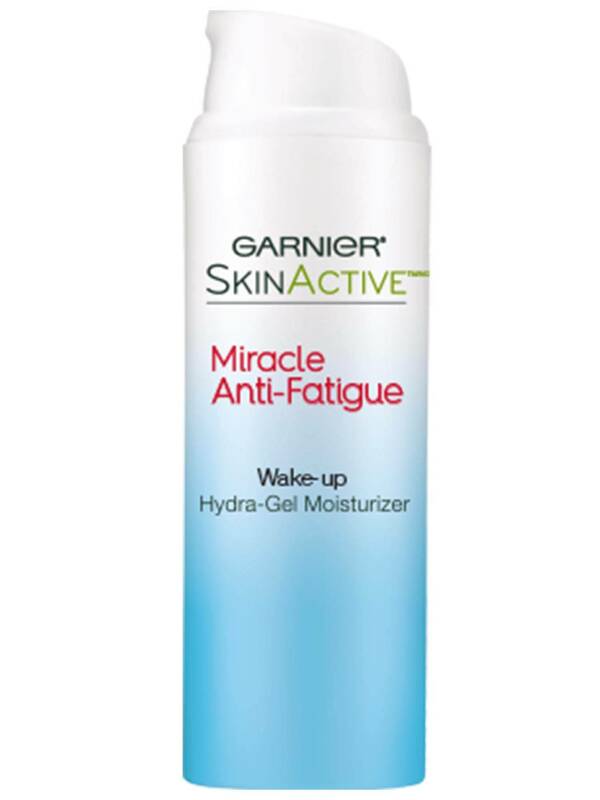 Rated 5 out of 5 by goodskingoals from Repeat Purchase I have never finished a bottle or jar of anything -- until I found Garnier's Miracle Anti-Fatigue Wake-Up Hydra-Gel Moisturizer. The longest, most-hyphenated named product I own! I just made my 5th (!!!!) purchase of this amazing gel moisturizer. This Works. It leaves my face moisturized, which lasts throughout the day without becoming greasy or oily. I feel like it helps keep my naturally shiny nose a more matte and it sooths and smooths. My very first designated HG product!